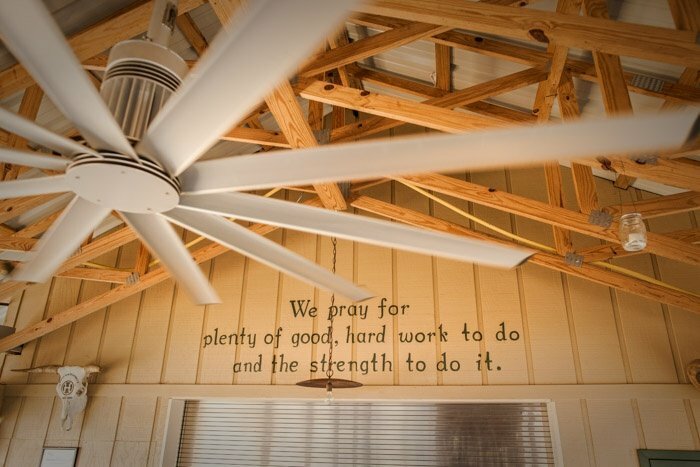 The Harris Family saying, above our kitchen, reminds us all of the hard work that worked up our appetites. 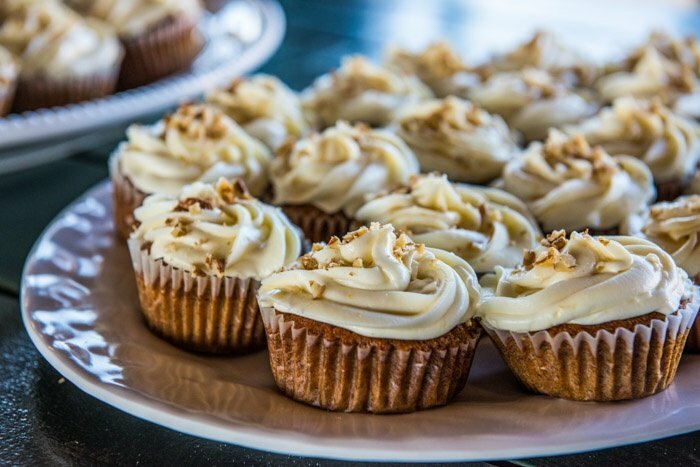 During lunch, we have our daily specials, buffet items, and our standard menu items, but our “standard” menu items are anything but that. Our Cheese Plate appetizer includes cheeses and brie from our friends at Thomasville Tomme-Sweet Grass Dairy in Thomasville, GA, surrounding our pickled items picked straight from the organic garden on our farm! 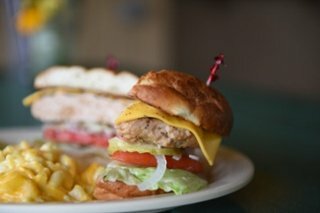 For your little ones, we have a “Calf Burger” and homemade baked steak fries. For those of you that aren’t scared to eat “outside the box” we have our “Farmer John Burger” that is named after our own John Benoit, the Director of Livestock. This “bad boy”, the burger, not John, is made with our grassfed beef, bacon, fried egg, rosemary-garlic aioli, greens and American Cheese, and yes, we dare you! 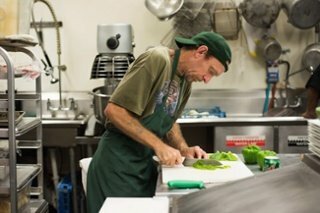 We also have our own WOP’R, made with our grassfed beef, but with grilled onions, bacon, balsamic dressed greens, peanut butter….PEANUT BUTTER? Yes! and a WOP pasture-raised fried egg and Sweet Grass Thomasville Tomme. These are just a couple of our tempting burgers on our menu. 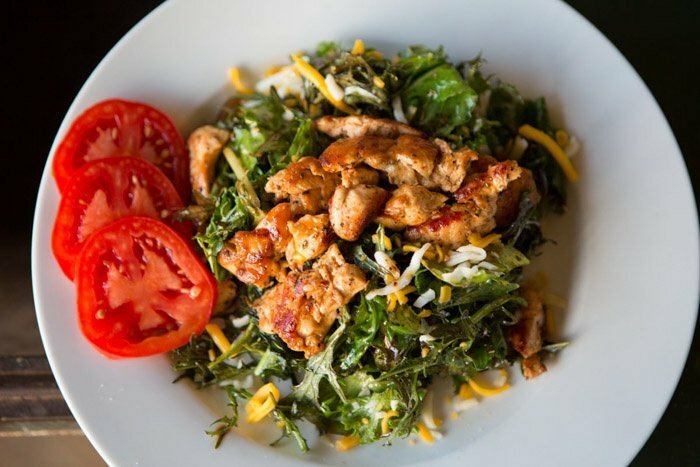 These meals wouldn’t be complete without our southern sweet tea or lemonade, but if you’re feeling more spirited, we have an array of beer and wine to wet your whistle! 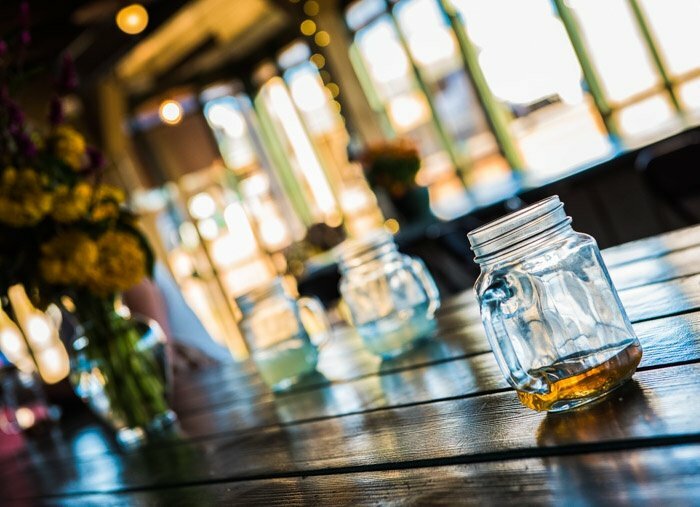 A mason jar of sweet tea brings southern tradition to our dining tables every day. DJ prepares peppers and a cajun chicken burger. To top off the experience, you’ll have the opportunity to sit down and talk with the folks who raise, harvest, pack, and butcher your food. How’s that for an education? 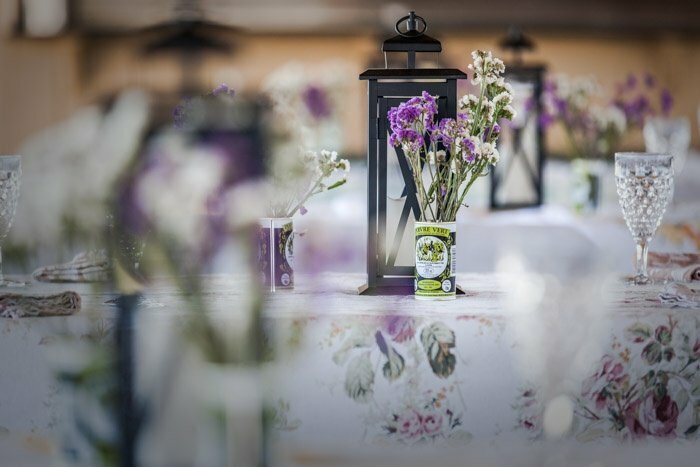 Fitted with picnic tables, the Pavilion is where we all eat together like family, so don’t be shy! 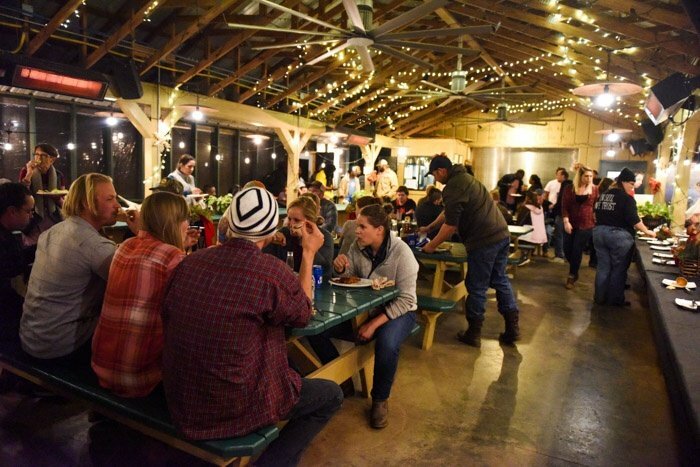 There aren’t too many farms that give diners the chance to visit, eat, meet, greet, and lodge all on the same place their food is produced, so take advantage of this unique opportunity! So, come on up down, over…. or from wherever you are, to White Oak Pastures Dining Pavilion. It will be the first of many trips, I promise! 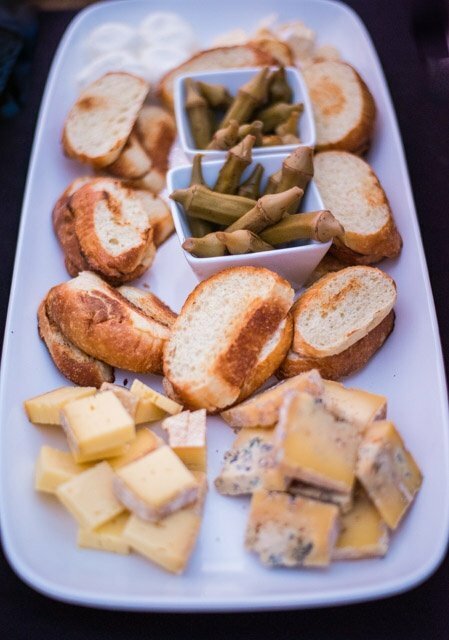 A Pavilion Favorite - the Cheese Plate using Sweetgrass Dairy cheese, pickled okra from our organic garden, and home made bread. 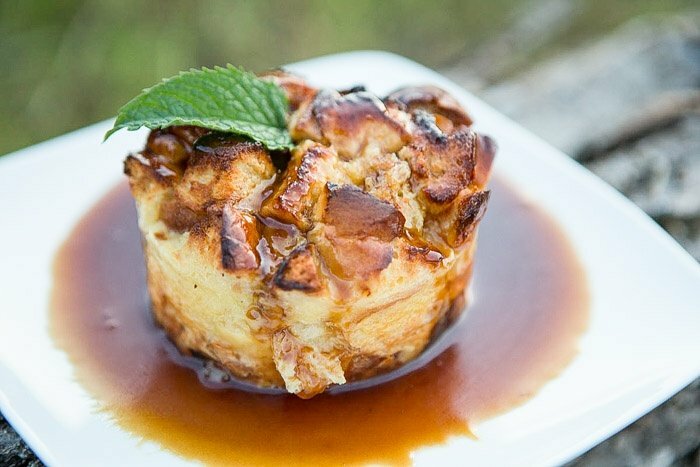 Our Bread Pudding with Georgia Rum Sauce is to die for and we wish you'd come on down to the farm and try some! 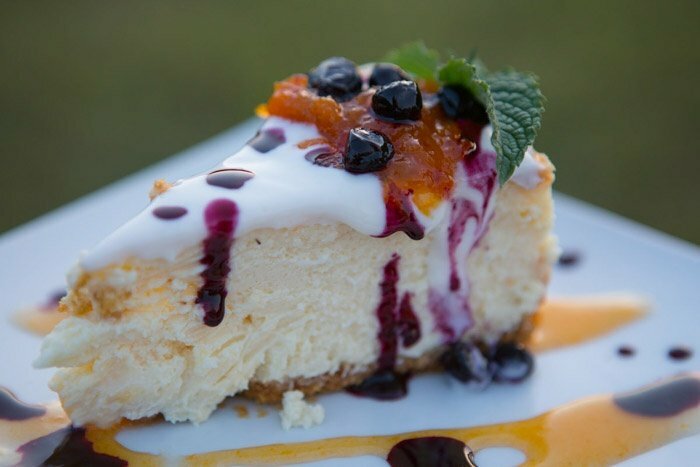 We also offer a range of house-made cheesecakes, cupcakes and creme brulee from our pasture-raised eggs.